Barry Smyth holds the Digital Chair of Computer Science in University College Dublin. 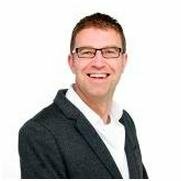 He is the Director of CLARITY: The Centre for Sensor Web Technologies, an SFI-funded CSET(Centre for Science and Engineering Technologies). He is an ECCAI Fellow and also a co-founder, director, and Chief Scientist of ChangingWorlds Ltd. His research covers a broad set of topics within Artificial Intelligence including Case-Based Reasoning, Machine Learning, User Modeling and Planning with particular focus on so-called Personalization techniques, which looks at ways of combining ideas from these areas to develop information systems that automatically learn about, and adapt to, the needs of individual users. Cathal Gurrin is principal Investigator at the Insight Centre for Data Analytics & a lecturer at the School of Computing, at Dublin City University, a visiting researcher at the University of Tromso, the director of the Personal Data Analytics research group and an Investigator in the INSIGHT Centre for Data Analytics. His research interest is personal analytics and lifelogging (a search engine for the self). He has personally gathered a digital memory since 2006 (incl. over 15 million wearable camera images) and hundreds of millions of other sensor readings; probably the largest visual lifelog in the world. His research develops new types of assistive technology for healthcare, human memory and productivity enhancement. 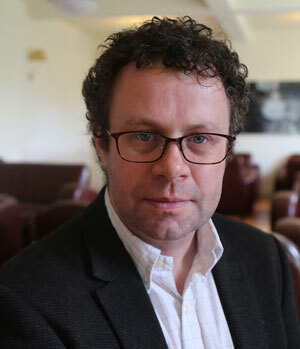 Graham Healy is a Postdoc at the Insight Centre for Data Analytics, Dublin City University. He is an expert on image processing, EEG, lifelogging and brain computer interfaces. Title: Lacking quality in research: Is behavioral science affected more than other areas of biomedical science? Anton Bespalov obtained his MD degree from Pavlov Medical University (St. Petersburg) and after completion of PhD studies in St. Petersburg and Utrecht held NIH-supported Fellowships at Medical College of Virginia (Richmond, VA) and Scripps Institute (La Jolla, CA). After habilitation (DMedSci) in 2000, Anton acted as a research director of Valdman Institute of Pharmacology. In 2004, Anton joined Abbott (later AbbVie) but maintained close connections to Pavlov Medical University where he is a professor at the Institute of Pharmacology and chaired the University’s Scientific Advisory Board. During his tenure at Abbott / AbbVie as head of pharmacology department, Anton and his teams have brought several compounds into preclinical and clinical development. 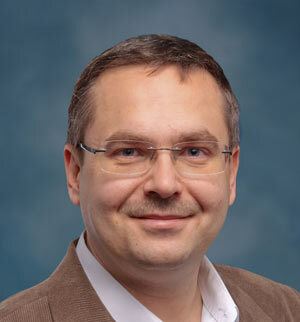 Anton has founded and leads several international initiatives on preclinical data quality.